A dynamic and results-driven professional with a positive outlook. 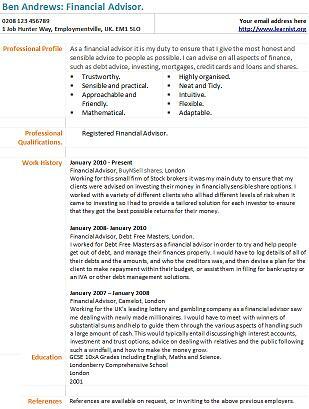 An experienced financial adviser, with proven success in advising and selling to both personal and corporate customers. Possesses excellent interpersonal skills and the ability to communicate and negotiate concisely and articulately at all levels. Enjoys being part of, as well as managing a successful and productive team and thrives in highly pressurised and challenging working environments. Committed to achieving and exceeding demanding targets, strives to be top of the league tables while remaining focused on providing an exceptional standard of service.